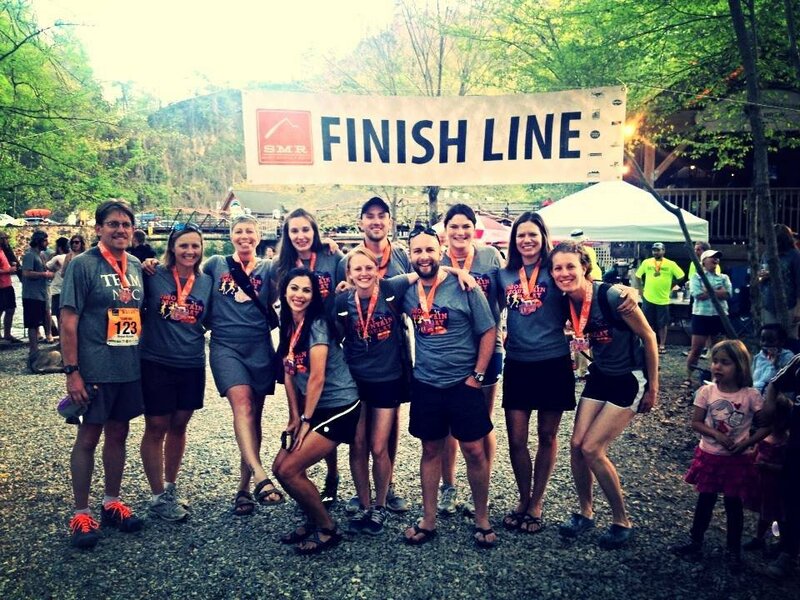 On April 25-26, Team NOC raced in the grueling Smoky Mountain Relay. Team NOC ran from Brevard, NC to NOC's Nantahala River Outpost in Wesser, NC, a total of 212.5-miles in just under 38 hours! Each team member is required to run 3 legs, including extreme 6-mile runs, technical 10-mile trails and the steepest climb in any overnight relay with elevation increase of 2400' in just 5-miles. In addition to Steven, Mikayla and Shannon, Team NOC also included 3 Raft Guides, 1 photographer, our Retail Merchandise Buyer, a former NOC Paddling School Instructor and 3 NOC family-members.